Where to sip, shake or stir your tequila on Cinco de Mayo? These spots may not offer much serenity on the Cinco, which is Tuesday, but they will offer plenty of tequila. The Cinco de Mayo party goes from 11 a.m. to 2 a.m. and features drink specials, deejay music and a mariachi band. This new place at Jupiter’s Harbourside Place is not only celebrating Cinco de Mayo on Tuesday – it’s celebrating its grand opening. On the menu: more than 100 varieties of tequila and more than a few spicy margarita renditions, says manager Chris Acosta. Expect a street bash that includes a live band. Party kicks off at 6 p.m. The party kicks off at noon and goes till closing (whenever that may be). Amid the mayhem, know that founder Rocco Mangel is more than an occasional bar-top dancer – he’s an expert “catador” (tequila taster) certified by the Mexican Academy of Tequila Tasters. Rocco’s pours more than 330 types of tequila. A decent range of tequilas and a veritable rainbow of margaritas are to be had here. The growing South Florida chain is throwing a Cinco de Mayo bash that involves live music and face painting. The party starts with happy hour at 3 p.m. This upscale cantina serves a nice tequila flight: your choice of three tequilas for $21. On the Cinco, the restaurant and bar will celebrate from 4 to 10 p.m., serving Cabo Wabo shots for $4 (and $3 quesadillas and $2 tamales to soak up the spirits). Expect deejay music and piñata games. 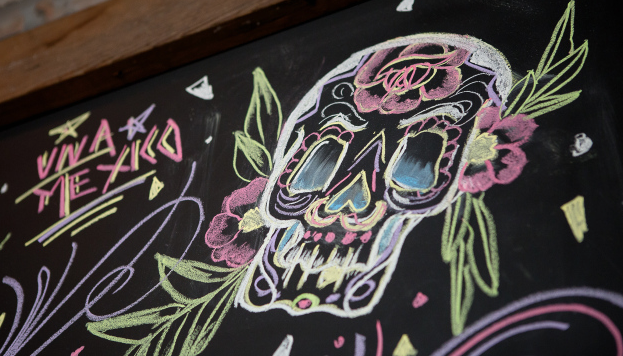 This Clematis Street spot serves a delicious Day of the Dead cocktail that’s perfect for Cinco celebrating. It contains reposado tequila, ancho chile liqueur, lime and crème de cassis. So if it’s too crowded at Rocco’s, just walk across the street and sip on one of these. This Boynton Beach bar makes terrific infusions and serves some wicked tequila drinks. Try the Mexican Cockfight (blanco tequila, mezcal, grenadine, Tabasco, lime and black pepper) or the Spice of Life (reposado tequila, amaro, cilantro, cucumber, strawberry, Sriracha and lime).